As a counselor, I have access to referral sites where I can direct others in times of crisis. However, none are as powerful as these "Holy Hotlines" I found posted on Facebook. I included the verses to make this list more complete. 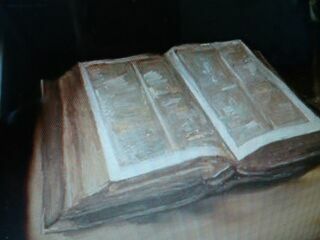 Romans 10:7 Consequently, faith comes from hearing the message, and the message is heard through the word about Christ. Psalms 34:18 The Lord is close to the brokenhearted and saves those crushed in spirit. Deuteronomy 31:8 The Lord Himself goes before you and will be with you; He will never leave your nor forsake you. Do not be afraid; do not be discouraged. If none of the traditional "self-help" books seem help, you can always turn to the ultimate self-help book. It's been around for a long time for a reason. It works.